Home Computer Hide Files And Folders On Window 7 And 10. Hide Files And Folders On Window 7 And 10. Hey Friends wassup...!! 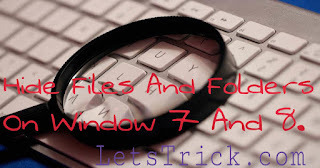 Do you wanna know how to hide files and folders on window 7 and 10 or on any other windows then you are at perfect place. Just follow bellow given steps one by one carefully and thats all. 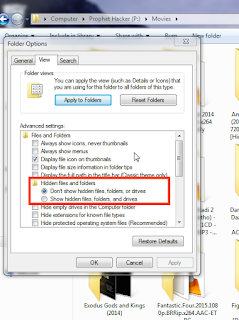 There are unlimited reasons to hide files and folders on windows like when we have to share our personal computer with any other person but we don't want that he or she will see our private files like photos, folders etc then we need to learn this trick to hide files and folders. Once we have done this hide files and folders feature then no one can see that perticular file or folder till we don't disable this hidden feature. 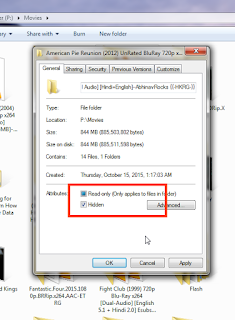 So lets just directly come to the point how to hide files and folders on window pc. You may also like "How to Disable Adds in UTorrent and BitTorrent". 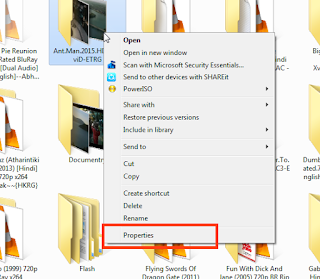 Step 1 :- First of all right click on that file or folder which you want to hide and then click on 'Properties' option. Step 2 :- Now a new window will open in front of you, there just tick or choose the 'Hidden' options and then click on 'Apply' button and then click on 'Ok' button. Now you have done almot everything to hide files and folders on windows pc. 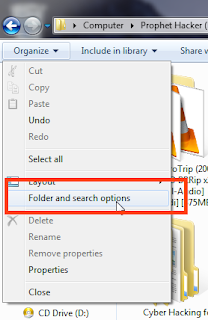 Step 3 :- Now just open 'my computer' and then you'll see a button 'Organize' at upper left corner just click on it and then a drop down menu will open in front of you not click on 'Folder and Search Options'. Step 4 :- Now you'll see a new window will open in front of you, just choose or tick the "Don't show hidden files, folders, or drives" option and then click on 'Apply' button and then tap on 'Ok'. Note :- Now to see those hidden files and folders just check or tick this "Show hidden files, folders and drives" (see in above step). You may also like "How to Remotely shutdown your pc with phone"
That's all Now you have successfully learned how to hide files and folders on window 7 computer. Step 1 :- Just follow the above steps 1 and 2 as it is. Step 2 :- Go to 'my computer' and then click on 'View' tab then just uncheck this "Hidden Items" option if it is checked or leave this is not checked already. Note :- To see hidden files check or tick this "Hidden item" option which we have unchecked in above step 2. You may also like "How to change windows password without knowing old password". Now you have successfully learned how to hide files and folders on window 7 and 10. If you are still having any problem related to hide files and folders in any step then comment bellow and I'll definitely help you.